You need to get on the air!! Even though I didn’t get on the air all weekend (due to other commitments), I’m still hangin’ in there! In addition to my previous contact with Rwanda last week in twenty meters, I made another contact with them last night on 40 meters. I’m still trying to nail Mayotte (TO6OK), but they’re a bit more elusive. 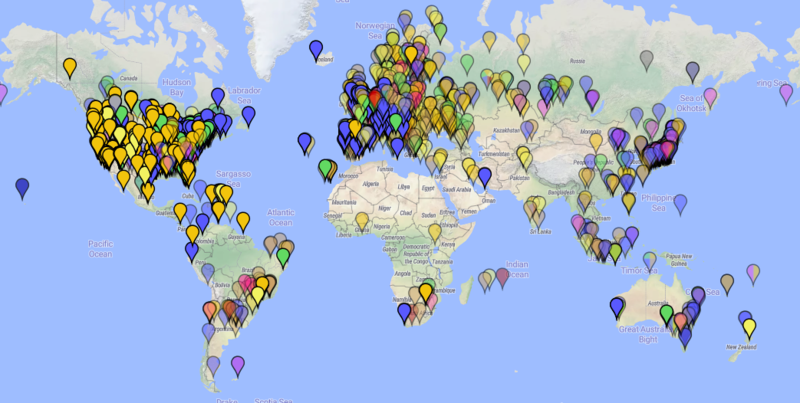 I’ve heard them, and seen them spotted, but no luck on CW or FT8. A note on the TO6 pileups … there are some totally messed up people out there. Anyone who deliberately QRMs any QSO, not just a DXPedition, is a loser in the true sense of the word. Strings of dits, cursing, deliberately calling CQ on top of the DX station, all with no ID … you have to wonder if these folks have any other life! And don’t forget the oblivious ops who have obviously never heard of split operation … not to mention the frequency cops who add their own offering to the chaos. 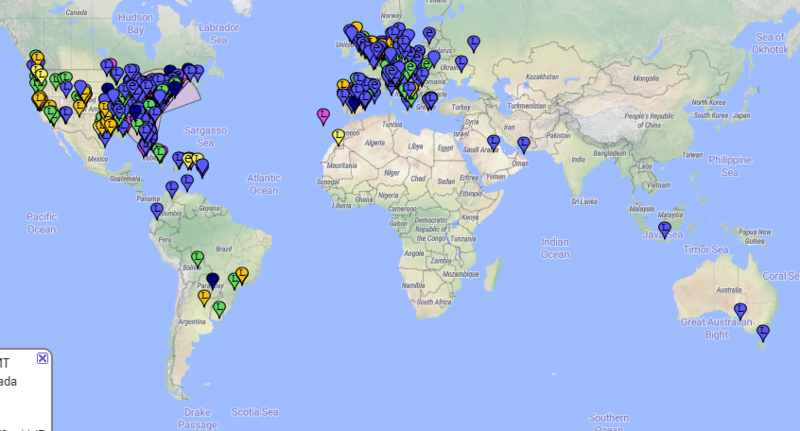 Those flags represent the stations I heard on FT8, 80 through 17 meters, this evening. Saudi Arabia, Indonesia, loads of Europeans, Australia, Oman … what more do you want? Could I work them all? Unfortunately, no. But I worked a bunch … twenty-one of them. With a better antenna … you never know. But they’re THERE … and they’re WORKABLE … by SOMEONE! Might be you! The right time and the right place! Turn the radio on … don’t sit and complain. They’re there! They’re waiting! Looks like solar activity is “heating” up a bit. Propagation has been erratic, but last night I got on for a while and was pleasantly surprised. I didn’t work anything new or spectacular, but as you can see, I was certainly being heard all over. According to the predictions, we’re due for a rocky time in the next few days from some pretty big solar storms. But … don’t rely on the predictions … turn on the radio … the bands are always open to somewhere. Next item … a RANT! One thing I noticed last night was that some ops are running way too much power. A couple of stations were running so much power, they were distorted and you could actually hear it “crackling” in their audio. Luckily the JT modes are robust … you could copy in spite of the splatter. Please, watch your power!